Everybody loves an heiress, atleast we saw it with the way people geared and applauded Rihanna on, lol. But this, erm, this heiress isn’t making us proud. 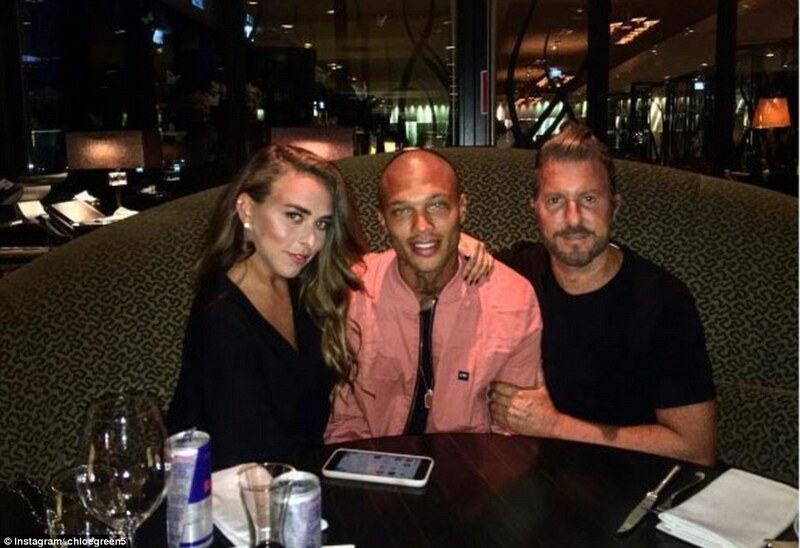 These pictures show the daughter of disgraced businessman Sir Philip Green passionately kissing with the ‘world’s hottest felon’ Jeremy Meeks. Dubbed the ‘world’s hottest felon’, father-of-two Meeks stole hearts all over the world when his mugshot went viral in 2014. The former gang member was convicted of possessing a semi-automatic pistol and was jailed for two years. He was released from prison in 2016 saying that he had found God, before quickly securing a six-figure modelling job. After the pictures emerged, Chloe hit back with an Instagram photo of the pair which read: ‘Just the Beginning… We appreciate all the love and the hate’. The duo were sat with photographer Jim Jordan, who is also Meeks’s manager. Meeks and Chloe, whose father is worth £3.8billion, are believed to have met during the Cannes Film Festival in May this year. The intimate yacht pictures show Jeremy gently holding onto Chloe’s face, with the heavily inked catwalk star looking handsome in green board shorts as Chloe wrapped her arms around his muscular waist, with her wavy caramel locks flowing down her back. The pair shared a moment looking into each other’s eyes before moving their public display of affection to a deck chair. There, they cosied up with Chloe shooting a seductive glance Jeremy’s way as she reclined into his lap and puffed on a cigarette, while the model got within pecking distance of her lips.